REBSEA was created to make it EASY and WORTHWHILE for real estate agents and lenders to donate to nonprofit organizations in the community that you serve. It is a proven fact and a growing trend that the public greatly prefers to do business with people and companies who Give Back to their communities. As a REBSEA member you simply make a donation after closing to a nonprofit that you care about and want to support. The amount is determined by each member. All donations go directly from you to a chosen nonprofit. 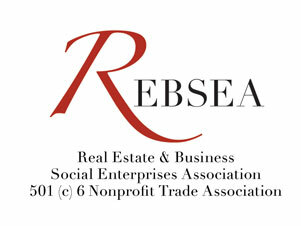 REBSEA was created to drive traffic to our members so that you can make more donations to nonprofits. When the public sees your profile in our Member Directory they will read about your business and that you care about important causes within your community. This is business that you otherwise would not have and is in addition to your existing business. Our Member Directory is available to ALL non-profit organizations so they can inform all of their supporters and donors, both internationally and locally, about the service provided by REBSEA. The total cost to join REBSEA and have a full profile in our Member Directory is $100 annual dues which goes to support the infrastructure necessary to accomplish our mission...to drive business to you. The Member Directory will list not only real estate agents and lenders but over time will grow to include ALL businesses in each community who donate to and support nonprofits in the communities they serve. This is a very simple and powerful idea. In fact there is a lot of this going on already across the U.S. and Canada. REBSEA is simply organizing those who are already Giving Back to their communities, and those who are willing to do so, into a single umbrella organization. By creating this infrastructure we can make Giving Back by the business community an everyday occurrence and multiply the dollars flowing from the business community to the unmet needs in all of our communities. The times are changing and our approach to working with nonprofits must change as well. On our website is a growing list of the nonprofit organizations that our members have donated millions of dollars to and continue to support. On the home page you can see the pictures and profiles of our more than 100 Founders who have created REBSEA.